Are you excited that Fall is finally here? This summer has been humid and hot in Northern Kentucky and Cincinnati, but cooler temperatures have arrived. 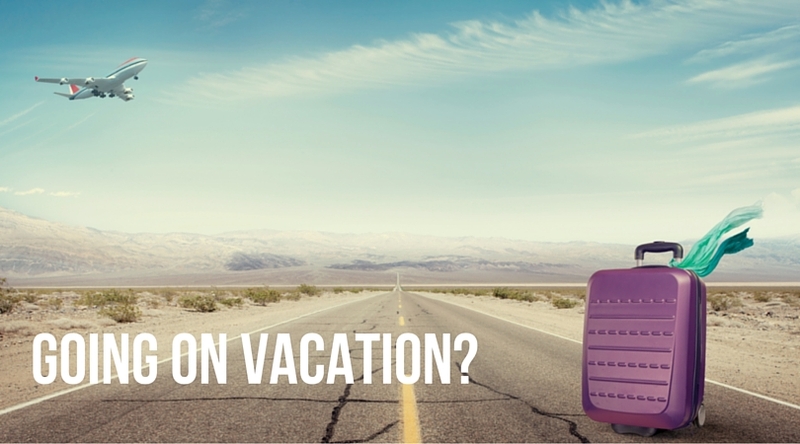 Are you taking a vacation this summer? Vacation is a great time to relax and unwind. And how much better would it be if you came back to a smaller electric bill that month? Add these quick and easy energy-saving tips to your packing and prep list to save a little money while you are away! Our thermostats not only check the temperature, but they also serve to make sure the actual desired temperature is maintained in our home. 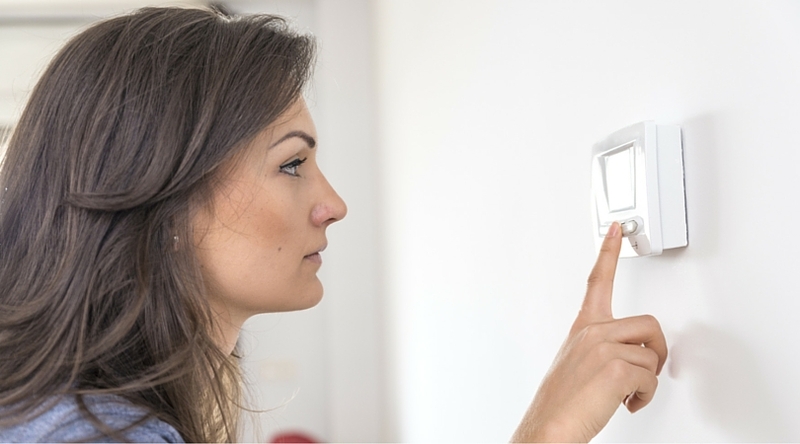 We depend on our thermostat to detect the temperature – and then match the desired temperature we want in our home! That means our thermostat plays an integral part in our family’s comfort in the home. When our thermostats are operating as it should, all is well. But when they start acting weird and not operating properly, there are a couple of steps you can take to get to the root of the problem. Once your thermostat is working accurately again, you can have peace of mind and your family can go back to having ultimate comfort. We’ve talked about – both in the short-term, and the long-term – how to take care of your HVAC as you prepare your home to sell. But what about when you are on the opposite end, and you are looking to buy a home? 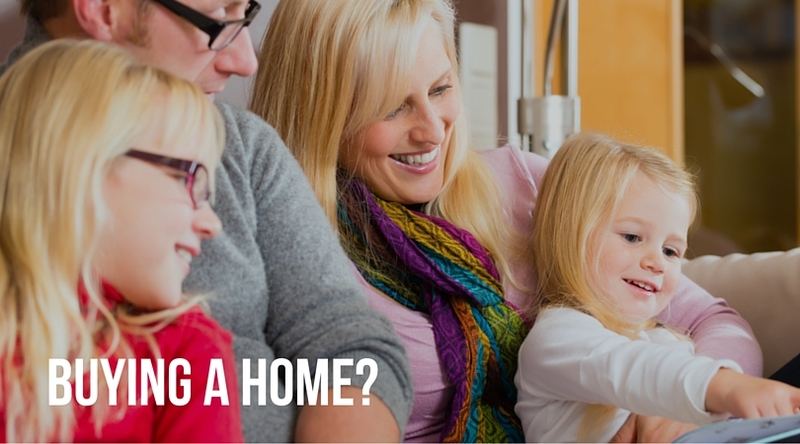 What are the things to look for in a heating and cooling system when you’re considering buying a home? Here we breakdown a list of some of the top things to look for, and steps to take as you look for a new home. 1. Find out the system’s warranty and/or protection plan. Many leading brands offer warranties on their systems. First, you want to check that the homeowners have done all they can do so that this warranty is still valid. Second, eventually you want to see the details and some sort of proof of that protection plan or warranty so you know what kind of potential costs or what type of system plan you’re inheriting. 2. Ask for the system history. While maintenance doesn’t necessarily mean you will avoid emergencies or costly repairs, it does tell you that certain necessary maintenance has been performed on your system – and that’s great for peace of mind. Many homeowners will be happy to share with you the regular maintenance they have performed on their home and/or any repairs done on the system. They keep track of that because they want to show you the system has as much as value as possible; for you, as the potential home buyer, it’s good to see more information that helps you better value the current state of the system. 3. Take note if there are carbon monoxide detectors in the home. A lack of carbon monoxide detectors does not impact your purchase decision – but it is something to look for. Keep in mind if these aren’t present in the home, you’ll likely want to add them. 4. Don’t forget your home inspection. It’s hard to believe you would forget it, but be sure not to! Once you’re serious about potentially purchasing a home, you’ll want to do a home inspection – not just to take a look at the heating and cooling system, but to look at many of the other potential issues within the home. These experts are trained to look for things that the current home owner may not want to disclose, or that the current home owner may simply not even be aware of. While more and more people see this is a critical part of the home purchase process, you still hear stories of people who neglected to have an expert inspect a home before purchasing it. While it’s mandatory for many people getting a loan, be sure not to forget this part of your home buying process. When a certified technician takes a look at your potential furnace, they are able to tell you the condition of it, and they can give a better idea if long-term maintenance really has properly and consistently occurred. No matter what an owner tells you, an expert is there to tell you what they believe will happen in the future in terms of necessary repairs or even replacement. If your home owner inspector tells you that you’ll need to repair the system in the very near future, you’ll want to take that into consideration before purchasing the home – or in the eventual purchase price of the home, it should be reflected. Most homeowners recognize the value of a furnace – just like how most home buyers recognize the value as well. If your home inspector tells you that expensive repairs or that replacement is needed, give us a call so that we can help you be more informed and know more about your options. Even if you don’t anticipate buying a new furnace in the near future, any time you can plan ahead it makes the entire process easier. There are quite a few factors that go into the purchase of new home – the size, the location and other critical components of the property are just a few of the factors we tend to focus on. 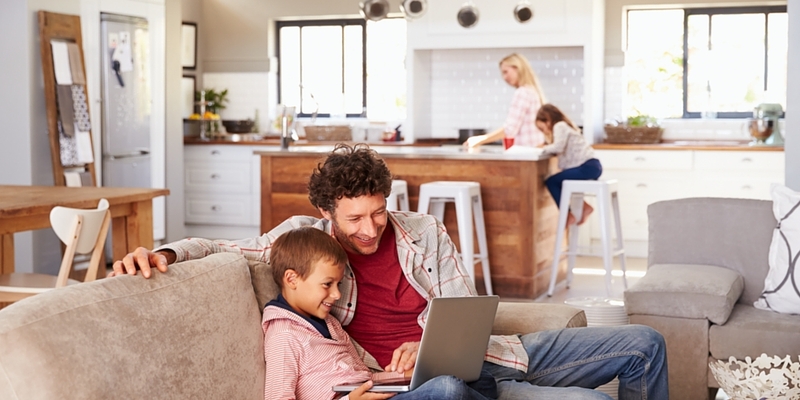 Don’t forget the importance of finding out key details that relate to your heating and cooling system, which can keep your family safe and comfortable in your new home. If you consider these 4 tips you’ll have greater peace of mind, and greater comfort, in your next home. Give the experts at Greater Comfort a call today at 859-491-4915 if you need help finding out the potential costs of a new system. Are Furnace Inspections Really Necessary? If you find yourself asking this question, the answer is a big YES, you do need regular maintenance by a certified HVAC expert! The benefits of getting regular maintenance include that you will extend the life of your system, you will save energy, you will keep your family as safe as possible and can you can reduce other health related-risks. Recall that part of what a furnace inspection does is make sure you have no carbon monoxide leaks. Because carbon monoxide is colorless and odorless, it’s hard for homeowners to know or detect that these may exist in the home. These leaks lead to symptoms like nausea, dizziness, and headaches, but they can also lead to death. Also, many HVAC systems also require regular maintenance in order for the warranty to be valid. Despite how manufacturer’s insist that maintenance is necessary for our HVAC system, as much as 3 out of 4 service calls in the fall and winter months because of no heat were related to a lack of system maintenance, according to Angie’s List. That means that as much as 75 percent of those no-heat calls potentially could have been avoided with regular maintenance by qualified professionals. So Do I Really Need To Call my HVAC? Again, if you want to make a small investment for the life of your HVAC system and to help ensure you don’t have an emergency situation when the cold temperatures hit, the right thing to do is to set up your maintenance with a qualified and trusted HVAC expert. When you go to call your HVAC to get your tune-up, be sure that what you are getting is a comprehensive maintenance program. In other words, do a bit of research before you buy or agree to a contract/service visit. What you don’t want is to only receive service for one or a few items on the list you see above. Also be sure that you are contacting a qualified, trained technician. In the end, it really isn’t just about safety—although that should be a compelling reason, too—but it is about preventative maintenance. If you are looking for a reliable and trustworthy Heating & Air Conditioning Company, check out our exceptional reviews here, and give Greater Comfort a call today. Maintaining your heating and cooling system will help you combat unwanted costs and avoidable system failures. Of course calling for your fall tune-up is a vital step, where we come and check the gas or oil connections, your gas pressure, burner combustion and heat exchanger, and much more, to make sure you stay comfortable year-round. When your furnace is forced to “work harder” to pull the air through, the more it will cost you, so be sure to replace your furnace filters on a monthly basis (or as your qualified HVAC professional tells you to do, depending on the climate where you live and your system). 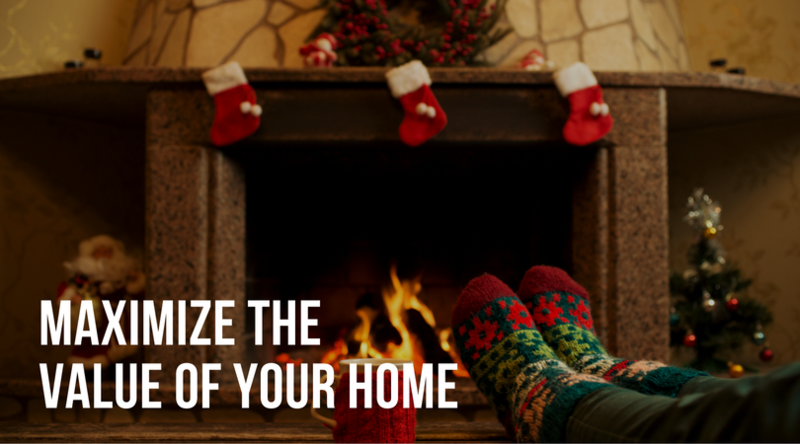 Have a professional check your chimney, clean when needed, and make sure the fireplace is working as it should. Take a Look at Your Furnace! Make sure nothing is near the furnace that shouldn’t be, such as something that could be flammable. Give the furnace a dust if it looks like it needs one! With winter around the corner, ask us about our recommendatinos for how you can insulate and seal air leaks. Whether those air leaks be in the attic, basement, a crawlspace, or around your windows and doors, you will notice the difference with these spaces taken care of. When you go to change out your air filter, just add one more thing to your list—checking the CO Detector. Yes, your furnace inspection is important to make sure your heat exchanger is not leaking, and a CO Detector is not meant to replace a tune-up, but this is a safety precaution to consider. You knew this had to be on the list! Regular maintenance is what you must do to make sure your furnace will run optimally, and when you need it most. This will save you money due to reduced energy requirements, keep you comfortable, and keep your intake pipe clear. Depending in your system, you may need to look at the exhaust and intake pipes that are on the exterior part of your home. Ask us for more information, but you want to make sure the area around these pipes are clean from debris. When You Have a Programmable Thermostat…Use it! Being able to control your energy means you can better control your bill each month, as well as have a better sense of the demands you are putting on your system over time. 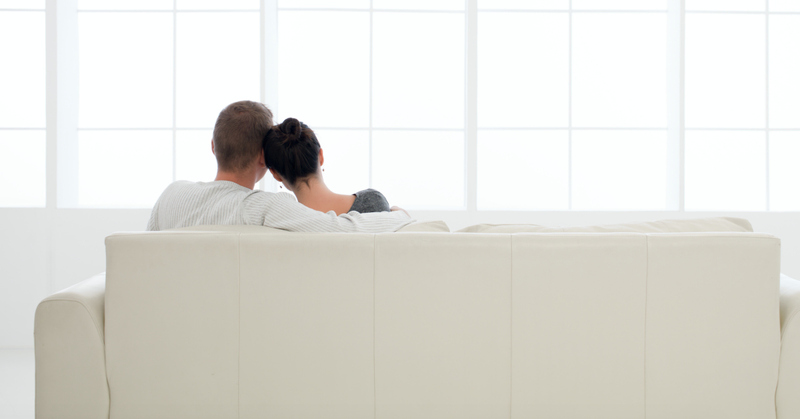 Ask us if you have more questions about how to find comfort using a programmable thermostat. During your tune-up, we will ensure your thermostat is working as it should. Do you close your curtains or shades during the night? Give it a try and then you can open them back up during the day. Do your best to prevent any surprises. Call Greater Comfort to schedule a visit at your convenience 859-491-4915. Summer brings family barbecues, trips to the pool, and rising temperatures. Knowing the heat of summer is here, we uncover 4 ways you can be sure to beat the heat and avoid overpaying on your energy bill. 1. Start managing your windows. You read that right: it is time to start managing your windows to take control of the summer heat. When possible, utilize energy-efficient window coverings that allow natural light to come in, but prevent solar heat gain in your home. During the day, keep windows closed. If you then open them at night—that is, when it is a cool night—be sure to close them early in the morning. Last, place houseplants in front of your sunniest windows to help naturally absorb some of the sun’s rays coming in to your home. 2. Check your air conditioning & cooling system’s efficiency. The Greater Comfort Heating & Cooling experts can help you consider and evaluate what it would mean to upgrade to a higher-efficiency unit. As much as 50 percent of people would be able to save money by switching to a high efficiency unit. We can also make sure you have installed and set up a programmable thermostat. This alone can save 10 percent on heating and cooling over the course of a year. Also, one of the fastest ways to save energy on home cooling is to clean and replace your cooling unit’s filters. In some cases, you need to change your filters as much as once every three months. 3. Look at how you ventilate. Ventilation is one of the least expensive ways to cool your home. 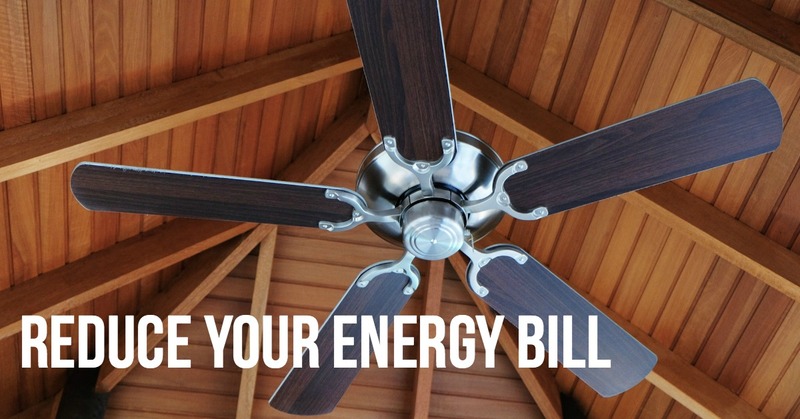 Depending in your needs, natural ventilation, fans, and whole house fans are options. Natural ventilation will rely on wind to cool your home and is a fit for those who live in cooler climates. Fans, as you are aware, help you cool off in certain areas of your home. Fans won’t cool your entire home by any means, but it is a great solution to help raise the thermostat but still let you be comfortable. Check to make sure that your fan is blowing wind downwards—not upwards, which wouldn’t do you any good! Last, whole house fans work to pull air in through your windows and exhaust it through the home’s attic and roof. Be sure to take advantage of your bathroom fans when you shower or when you cook. These help in removing the heat and humidity in your home. 4. Contact the Greater Comfort Heating & Cooling team. Our maintenance program brings well-trained technicians to your home to find and fix any problems with your air conditioning system. It is our goal to work with you to fix any inefficiencies in your cooling system! We examine airflow, check for seal duct leakage in central systems, your coils, capacitors, compressor and refrigerant. As much as 5 to 15 percent of your efficiency can be lost if you do not maintain the A/C. I Get Regular Heating Maintenance: What Repairs Should I Watch For? Regular heating maintenance is an important part of maintaining your heater: correcting little problems before they turn into big ones and generally improving the effectiveness of its functions. 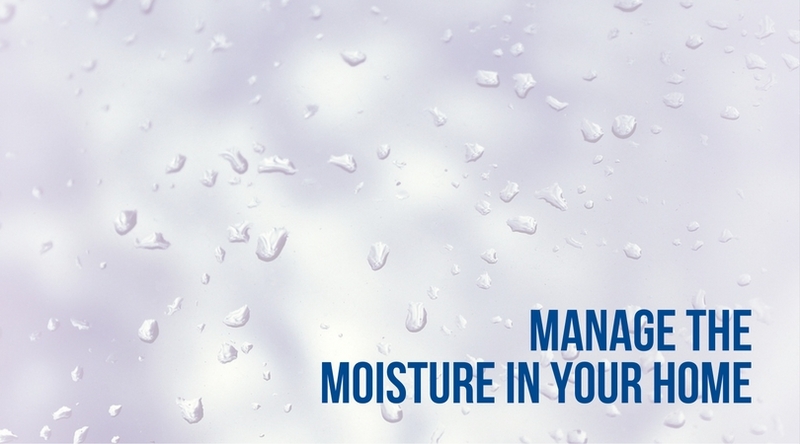 Taking advantage of regular maintenance should decrease any need for any heating repairs. However, maintenance can’t prevent every problem, which is why you need to look out for issues that might not be spotted by such treatment. If you’re saying to yourself “I get regular heating maintenance: what repairs should I watch for?”, then we have a handy list for you to consult. Electrical problems. A maintenance session should be able to catch loose connectors, frayed wires and similar issues However, technicians don’t normally check the electrical wiring connecting the heater to the breaker box. He electrical motor blowing the air may also suffer a malfunction over and above the technician’s ability to inspect. Regardless, it’s something that could arise more or less without warning. Sudden spikes in monthly bills. If something suddenly malfunctions, it might not actively shut down the heater or even show any overt signs that something is wrong. It will, however, cost more for the unit to overcome the issue and continue to heat your home. Ideally, a maintenance session can anticipate such failures, but they also happen suddenly and without warning. Spotting the higher heating bill is the best way to stay ahead of such problems. Debris falling into the fan. A maintenance session will clear up most debris, but if you have trees or shrubbery near your heater, something could fall through. If it does, it might get caught in the fan or some other part of the mechanism, causing damage in the process. If you spot any of these issues, don’t hesitate. The experts at Greater Comfort Heating & Air Conditioning, Inc.® can handle most kinds of heating problems, including those that show up suddenly without warning. If you’re saying “what kind of heating repairs can I expect even with regular maintenance?” then give us a call. Heating repair in Newport is no laughing matter. Let us help you handle it right!